We strive to deliver you a beautiful project on time and in your budget. From start to finish we see your project thru. We also offer in house design services, as well as project management. 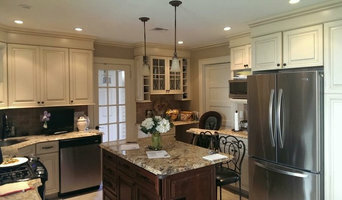 We work with homeowners looking for a unique and custom approach to remodeling and home building. Working together we create an amazing final product, but most importantly, a happy homeowner. Merrick Kitchen & Bath is a full-service, customer-oriented design and installation team. Our reputation is a result of 40+ years of diligent service and attention to detail. Galante Building has 27 years of residential remodeling experience. If you choose us for your home project, you will be pleasantly surprised throughout each phase. School House remodeling has been in Business for over 20 years. We are the a preferred contractor to home owners in Nassau County. Please give us a call today for any of your home improvement needs. Kitchens & Baths By Precision is skilled in completing various types of remodeling projects that enhance the quality of the building & help it to stand out for its style. Routinely described as a company with a unique attention to detail, we guarantee you’ll be left in awe as we transform your house into the home of your dreams in just a few short weeks!